Before my mother was a King, she was a Scott from Marion, Alabama, the daughter of resilient, righteous parents, Obadiah and Bernice, who drove the bus that transported my mother and other black students to school. Coretta Scott was born to a woman who supported community. Before my mother was a King, she climbed trees and wrestled with boys. And won. Even as a child, Coretta Scott demonstrated that her gender would not deter her success, nor did it detract from her strength. Before she was a King, my mother was a civil rights activist, a member of the NAACP and the Race Relations and Civil Liberties Committees at Antioch College. Coretta Scott was determined that her life would serve to lift others. She was already a woman of great character. Before my mother was a King, she was a gifted vocalist and musician, whose skill and academia garnered her a scholarship to the prestigious New England Conservatory for Music in Boston. Coretta Scott’s path to Boston exemplified her commitment to being a woman of excellence. Before she was a King, my mother was a peace advocate, a courageous leader and an accomplished artist. Before she was a King, my mother had a purpose; and her marriage to a man who would become one of the most celebrated leaders in history further propelled her toward that purpose. Her life with my father was a remarkable display of consistency to purpose, as Coretta Scott King not only excelled as a wife and mother, but also utilized her diplomacy and gift as a singer to advance the movement. My parents were partners and she was a woman at the forefront of activism for civil and human rights. After my father’s assassination in 1968, my mother’s life without my father would become the clearest and most prevailing testament to the wisdom and fortitude which had been cultivated in her since birth. That same year, she founded the Martin Luther King, Jr. Center for Nonviolent Social Change in my father’s birth city, Atlanta. More than a monument, it is the official living memorial to Martin Luther King, Jr. and was established to provide education and training on his nonviolent philosophy and strategy. With The King Center as her base, my mother pressed on to fulfill a role that changed lives and legislation. She was a woman who refused to surrender the reigns of what she knew to be her assignment, even when male civil rights and business leaders tried to convince her that she should leave the work of building her husband’s legacy to them. She began her journey as the Architect of the King Legacy. This woman’s work continued. As founding President, Chair, and CEO of The King Center, Coretta Scott King tirelessly carried the message of nonviolence and the dream of the Beloved Community throughout the globe. She, along with other dedicated workers, committed herself to the dream of a MLK Holiday becoming a reality. The dream was realized. The Holiday solidified my father’s worldwide influence and increased the desire of many to learn more about his life and teachings. Consider that at the time of my father’s death, a poll found him to be “the most hated man in America.” My mother’s efforts as the Architect of the King Legacy changed the way the masses viewed Dr. King. 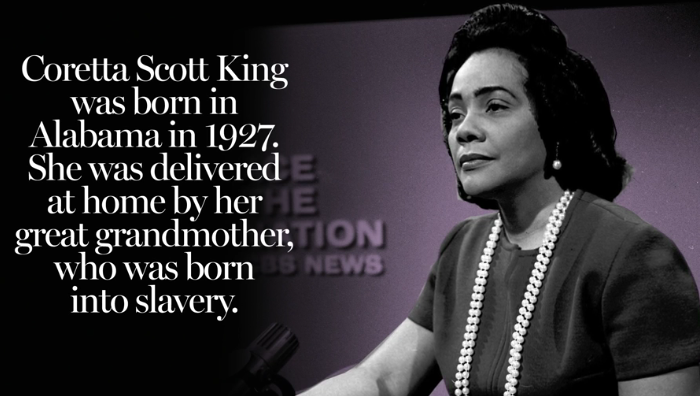 Imagine where Dr. King’s legacy would be had Coretta Scott not been purposed to be a King. Imagine where the King Legacy would be had Coretta Scott not been purposed to be a King. Imagine if she had not been a woman on fire for social justice and for nonviolent social change. Imagine if she had listened to those who wanted to put her in a gender box and limit her ability to lead as a legacy-builder. Imagine if she had not been willing to be arrested by and for something greater than herself. She left her mark. Women and girls, and all of humanity, are better for it. The best way to express our gratitude, during Women’s History Month and beyond, is by embracing the philosophy that my mother believed was the path to building the Beloved Community. 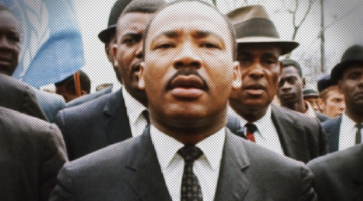 In this critical moment for our global community, let us live nonviolence. 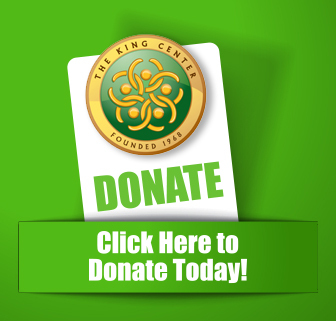 The principles and steps of nonviolence, which The King Center calls Nonviolence365™, will help us build a more peaceful, just, humane world, beginning with each of us. As my mother stated, “People who think nonviolence is easy don’t realize that it’s a spiritual discipline that requires a great deal of strength, growth, and purging of the self so that one can overcome almost any obstacle for the good of all without being concerned about one’s own welfare.” In her honor and for the holistic health of our global community, I encourage humanity to choose nonviolence.